I’m sure by now the majority of homeowners and landscapers are tucking in the yards and cleaning up the leaves. In a few more weeks the gardening season will come to a close. Around the holidays, when things slow down a bit, it’s great to think about what happened in your yard and what you want to do for the following season. If you decide you want to change things, you have a couple of months to plan and think about it before spring comes. Some things to consider at this time of year are transplanting trees or shrubs or dividing perennials. Ask yourself if you want to go into new areas of the yard. Now is the time to think about all of this. The end of the season is also a good time to both look back over the past season and to think ahead to the next. I like to take pictures and keep them filed and organized. Then, in December and January, I create photo albums. Obviously, I take pictures of my family, but I also do this with my garden and the jobs I’ve done. This helps me to remember what happened in the previous year. Photo technology has made it very easy to take a lot of pictures to record information about your garden. In addition to taking photos, though, I also spend a lot of time looking out of my windows, looking at the plants at the size of the beds, thinking about what can be tweaked and what can be changed. I also enjoy thinking about my vegetable garden. Just as with flower gardens, vegetable gardens can always be tweaked, depending upon what did well and what didn’t do well this past season. As the saying goes, all things come to an end, and therefore comes a new beginning. When one door shuts, another one opens. So the garden can teach you about all these things, about seasons and about the cycle of seasons. Right now we’re in the season when, especially in the northeast, everything is finishing up, and you have a great opportunity to relax and hibernate and to figure out what you want to do for the following year. Read books and take notes. 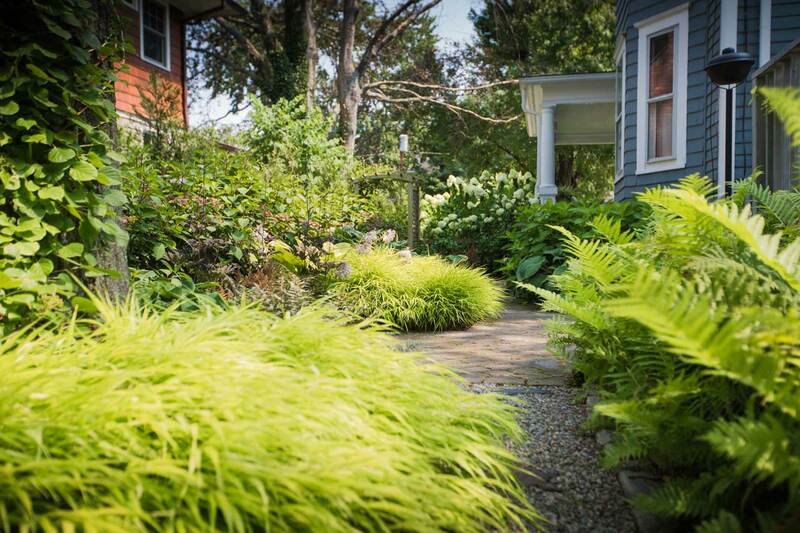 Take a course in landscape design or learn more about perennials or shrubs. So get yourself prepared—spring is only a few months away!